Blues, Folk, Classic Rock, and much more. CONTACT: jeremyholdenmusic@gmail.com to schedule a performance today! ​Ever since he was 2 years old, Jeremy has had a guitar in hand. He began formal study of the instrument in high school and throughout college, instructed by noted guitarists Wayne Peabody, Keith Crook, Gary Wittner, and Mike Baggetta. Jeremy has had the pleasure to share the stage with many phenomenal musicians over his career, including guitarist John Pizzarelli and the folk-rock band, Carbon Leaf. To a greater extent, he has had the joy and great privilege to play music with the members of Junco for almost a decade. When he is not performing with Junco, Jeremy works as solo singer/songwriter and instrumental acoustic musician. Outside of his musical career, he is either in the classroom teaching students or out hiking, fly fishing, canoeing, or camping with is wife and their goldendoodle, Baxter. In his spare time he enjoys tying flies, reading, flannel shirts, and dark roast black coffee. He lives in the White Mountain Region of Western Maine. Jeremy currently works as a solo acoustic musician and singer/songwriter, along with being the lead guitarist in a group called Junco. He has had the pleasure to perform all over New England at such venues as Stone Mountain Arts Center, Bath Heritage Festival, The Cold River Radio Show, WHOM Radio Station, and on WCSH 6's Maine variety television show, 207. As a solo act on acoustic instruments, Jeremy recreates and makes new the roots, bluegrass, blues, folk, jazz, and Americana music of the past and present, as well as performing his original compositions. 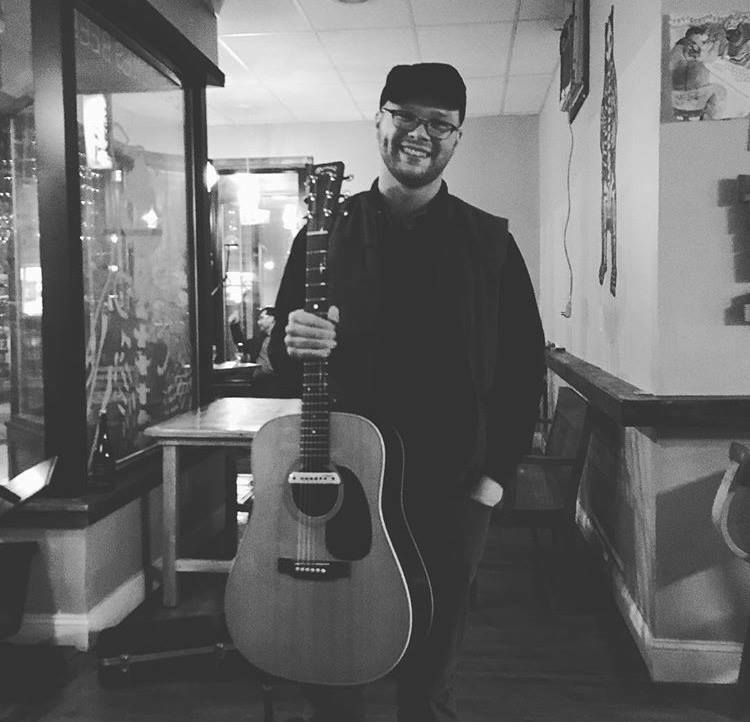 From formal settings playing acoustic music to small clubs, coffee houses, breweries, theaters, art centers, television, radio, bars, county fairs, and various eateries, Jeremy gives a performance for all kinds of venues to enjoy. Channeling the sounds of Neil Young, Ray Lamontagne, Bob Dylan, and Jackson Browne, Jeremy has a unique sound as a singer/songwriter that is not to be missed. I must note that I am not sponsored by any of the manufacturers of the following equipment, and I am not an endorser of these products. The equipment is listed for those curious to know what I use in my professional work as a musician.